It’s safe to say that after a promising start to life at Manchester City, Spanish winger Nolito has fallen out of favour with Pep Guardiola lately. The 30-year-old signed for a reasonable fee of £13.8 million from Celta Vigo last summer, with goals and assists coming freely in the early days of his stay at the Etihad. However, around Christmas time, Pep Guardiola seemed to lose faith in the former Barcelona player and he has found minutes hard to come by. 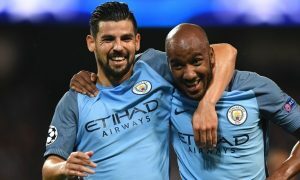 The 69 minutes he featured for against Huddersfield Town in the FA Cup were the most he has played since mid-December, but he and fellow Spanish wide-man, Jesús Navas, failed to make any real impression. Nolito’s shortage of minutes has alerted his former club Celta, and according to Marca, they are seriously looking into the idea of taking him back to the Balaídos in the summer, just a year after selling him to City. This would be a very difficult deal for Celta to pull off, complicated by the fact that Nolito tripled his salary upon moving to the Premier League. Sacrifices would have to be made, but Nolito has previously said that he’d like to return to Vigo and has hinted that life in England isn’t ideal for him. 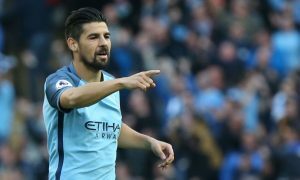 Were City open to returning Nolito to his former club, a compromise would have to be made of the player agreeing to cut his wages, or City agreeing to pay a percentage of his salary to get him off the books.